Mark Lamping was named president of the Jacksonville Jaguars on February 13, 2012. Now in his 25th year as an executive in professional sports, Lamping became the Jaguars’ first president since the end of the 1996 season. His career highlights include 13 years as a marketing executive with Anheuser-Busch, 14 seasons as president of Major League Baseball’s St. Louis Cardinals and four years as CEO of New Meadowlands Stadium Company where he oversaw the construction and operation of MetLife Stadium. The New York Giants’ 2012 Super Bowl victory enabled Lamping to become one of the few sports executives to have received both a Super Bowl ring and World Series Championship ring. Lamping earned his World Series ring as president of the St. Louis Cardinals following their 2006 championship season. As president, Lamping oversees all business operations for the Jaguars in addition to managing other Shad Khan-driven initiatives including a master mixed use development planned for property adjacent to TIAA Bank Field. In 2013, Lamping was named as a non-executive board member of Fulham Football Club in London, Khan’s English Premier League franchise, and he is involved with the expansion of the Riverside Stand at the team’s stadium, Craven Cottage. The Jaguars under Lamping’s direction have completed a number of major fan-friendly enhancements to TIAA Bank Field including the installation of the world’s largest video boards in 2014, the complete renovations of the US Assure Club, as well as the construction of the 5,500-seat Daily’s Place amphitheater which opened in 2017. Again, this fall and continuing through the 2020 season, the Jaguars will play a regular season home game each year at London’s Wembley Stadium. Lamping also serves on the NFL Stadium Security and Fan Behavior Committee as well as the NFL Super Bowl & Major Events Advisory Committee. Lamping previously served as president and CEO of the New Meadowlands Stadium Company, LLC beginning in 2008. The New Meadowlands Stadium Company was the joint venture formed between the New York Giants and the New York Jets to develop the $1.6 billion stadium in East Rutherford, NJ. Lamping was responsible for managing the construction, sales, marketing and operation of MetLife Stadium, which opened in April 2010. MetLife Stadium is the only NFL stadium which is the home of two NFL teams. In addition to numerous awards, in both 2010 and 2011, Billboard magazine named MetLife Stadium as the highest grossing stadium in North America. Lamping also helped lead the successful bid to host the 2014 Super Bowl, which was the first Super Bowl played in an open-air stadium in a cold weather city. Lamping was the president of the St. Louis Cardinals for 14 years, from September 1, 1994 until March 31, 2008. In addition to the club's 1996, 2000, 2001, 2002 and 2005 Central Division titles and 2004 National League Championship, the Cardinals earned their 10th World Championship in 2006. In 1999 and again in 2003, the Cardinals were honored by United Sports Fans of America as Major League Baseball’s Fan Friendly Team for their superior efforts to make a day at the ballpark more affordable and enjoyable. In addition to managing the club's business and facility operations, Lamping led the Cardinals’ new ballpark initiative, and on April 10, 2006, the Cardinals officially dedicated the new privately financed ballpark, Busch Stadium. The perfect ending to the inaugural season at new Busch Stadium was the Cardinals winning their 10th World Championship. From 1989 to 1994 Lamping served as Anheuser-Busch's group director of sports marketing. In that position, he managed all domestic and international sports marketing activities for Anheuser-Busch's beer brands, including sponsorship agreements with the Olympics, FIFA World Cup and all major professional sports, including Major League Baseball, the National Football League, the National Hockey League and the National Basketball Association. Lamping also oversaw BudSports Productions, Anheuser-Busch’s TV and radio sports production company. Lamping joined Anheuser-Busch in 1981 in the company’s Corporate Planning Executive Development Program.  He then served in a variety of positions including district sales manager in Southern Illinois and Central Iowa, senior brand manager for new products and director of sales operations before being named group director of sports marketing in 1989. Lamping currently serves on the boards of directors of the Jacksonville Chapter of the American Heart Association, Jacksonville Civic Council, Jacksonville Sports Council, JAXUSA Policy Council, Ronald McDonald House Charities of Jacksonville, Inc., and Special Olympics Florida Advisory Council. In 2015, Lamping was honored as Community Champion by the North Florida Chapter of the Multiple Sclerosis Society and received Community Connections’ Florence N. Davis Award for Community Achievement. In addition, in 2017 Lamping was inducted into the First Coast Business Hall of Fame and received the Living and Giving Award from the Juvenile Diabetes Research Foundation. While in St. Louis, Lamping was involved in a variety of charitable organizations, including board of directors, Habitat for Humanity and St. Louis Cardinals Community Fund; chairperson of the Make-A-Wish Foundation Golf Classic in 1997, 1998, and 1999; chairman of the St. Louis Archdiocese Catholic Charities 2000 and 2001 Christmas Appeal and he also served as a chairperson for Pope John Paul's 1999 visit to St. Louis. In 1998, Lamping was honored as Man of the Year by the St. Louis chapter of Sudden Infant Death Syndrome Resources and received the James O'Flynn Award from St. Patrick's Center in recognition of his work to help the homeless in the St. Louis area. In addition, Lamping was the recipient of the Catholic Youth Council 2000 Community Achievement Award and the 2001 Marianist Youth Medal. Big Brothers and Big Sisters of St. Louis honored Lamping with its 2001 Legacy Award. In 2006 Lamping was presented the Gateway Leadership Award from the International Leadership Network. Lamping has been inducted into the Vianney High School Hall of Fame and was named 2000 Alumnus of the Year for outstanding achievement by Rockhurst University. A St. Louis native, Lamping holds a Bachelor of Science degree in accounting from Rockhurst University in Kansas City, Missouri, and a master's degree in business administration from Saint Louis University. Mark and his wife Cheryl have three children; Brian, Lauren, and Timothy.